As Tucson's most popular morning show, promotional opportunities arise frequently for Johnjay and Rich. 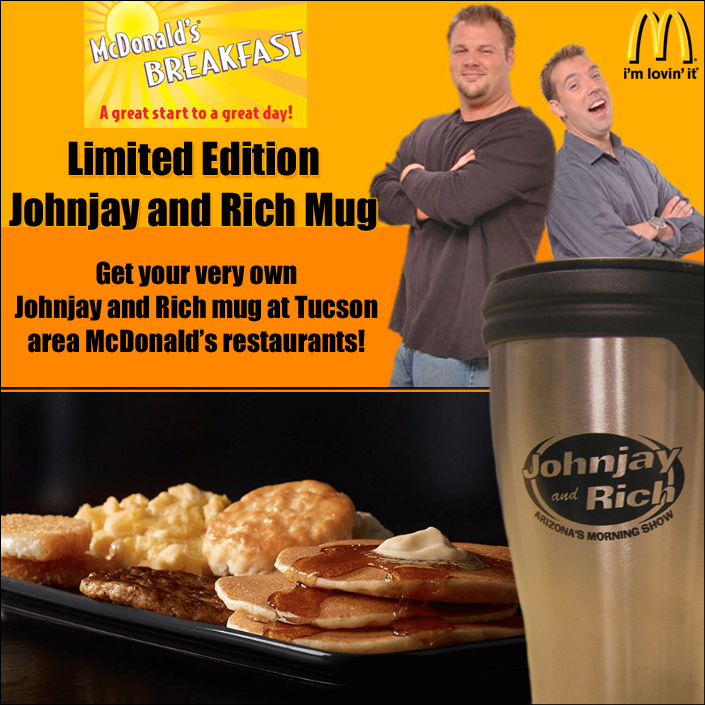 For this project, I was asked to design a promotional piece enticing users to visit a Tucson area McDonalds to get their very own Johnjay and Rich mug. The promotion was a success, with Tucson area stores experiencing an increase in sales during their morning operating hours.